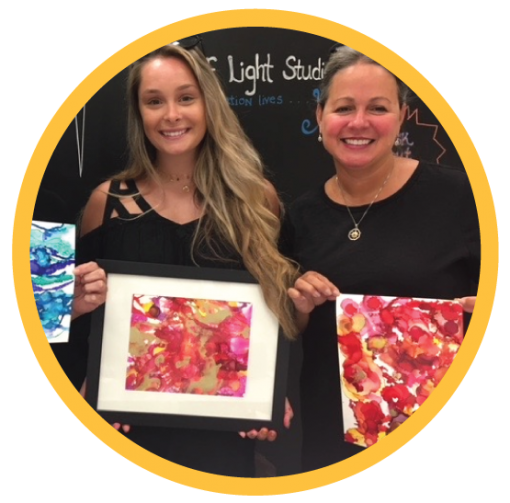 When inspiration strikes or celebration occurs, book an appointment for an in-studio art class. You can select from any of these creative courses. Come solo, or bring friends, a child, or parent. The studio caters comfortably to 1 – 6 students. 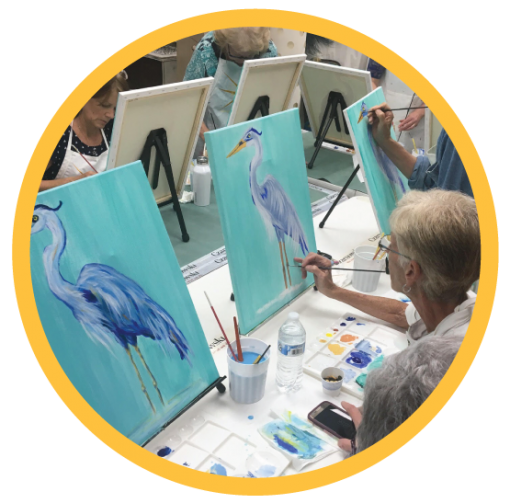 You’ll create your masterpiece in an intimate setting with one on one individual attention. Kathy’s 20+ years of experience makes her a wonderful teacher who is able to cater to all levels. 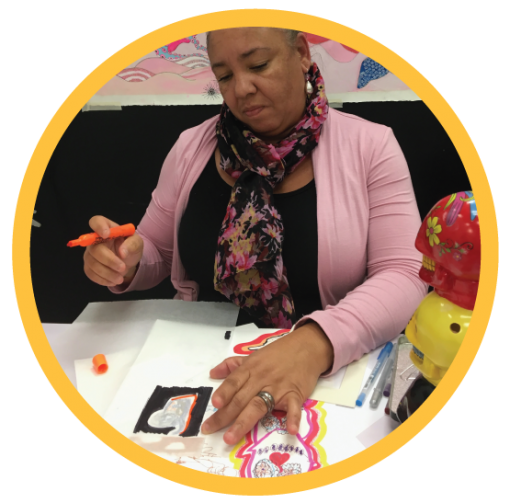 What better way to get to know someone, than to create together? Images prevail where words fail. Whether it’s a partnership in drawing one another, or learning the art of constructive criticism of someone’s personal work, creative team-building breaks down barriers.